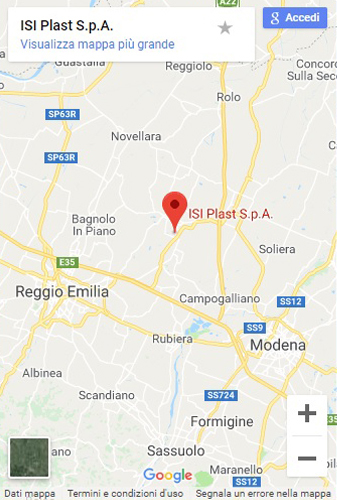 Contact us - ISI Plast S.p.A. I agree to the use of my Data for the sending of commercial communication regarding new products and/or service within the limits indicated in the present complete explanation. (*) The Data inserted will be used in full compliance with the Regulations (EU) 679/2016 „on the protection of individuals with regard to the processing of personal data and on the free movement of such data”. The person concerned will be able to exercise in any moment the Rights provided for by law in Clause 13 of the same Regulation by sending an email to info@isiplast.com. By proceeding with the filling and the sending of the present form you give your free consent to the use of your personal data for the purposes and within the limits indicated in the present complete explanation.